The star KIC8462852 (TYC 3162-665-1) is apparently a perfectly normal star, with no spectral peculiarities, appearing in the original Cygnus/Lyra field studied with the Kepler spacecraft. But then, the Planet Hunters project discovered in the Kepler light curve that KIC8462852 displays a unique series of aperiodic dips in brightness. In 2015, Yale astronomer Tabetha (Tabby) Boyajian and colleagues posted a paper on an astronomy preprint server reporting a star (KIC 8462852) 1,480 light-years away in the constellation Cygnus had found fluctuations in the light coming from the otherwise ordinary F-type star (slightly larger and hotter than the sun). * The star brightness also dipped erratically throughout the four years, sometimes losing as much as 20 per cent of its brightness. Schaefer, looked at a collection of ≈500,000 sky photographs in the archives at Harvard College Observatory which cover the entire sky from 1890 to 1989. He saw a 20% dimming trend over 109 years. Other researchers suggested that the 1890 to 1989 20% dimming trend Schaefer saw could have been caused by changes in the instruments used to take those photos over the century-long timespan. However, a new study bolsters Schaefer’s interpretation. In new work, Benjamin Montet (of the California Institute of Technology and the Harvard-Smithsonian Center for Astrophysics) and Joshua Simon (of the Observatories of the Carnegie Institution of Washington) reanalyzed Kepler observations of Tabby’s star from 2009 through 2013. They found that the object dimmed by 3 percent over that span, with a rapid 2-percent brightness dip over one 200-day period. Two independent Johnson B light curves for KIC8462852 from 1890 to 1989 were created from the same set of Harvard plates, the first with 1232 plates with DASCH magnitudes, and the second with 131 plates with my by-eye measures. The KIC8462852 light curve from 1890 to 1989 shows a highly significant secular trend in fading over 100 years, with this being completely unprecedented for any F-type main sequence star. KIC 8462852 is a superficially ordinary main sequence F star for which Kepler detected an unusual series of brief dimming events. We obtain accurate relative photometry of KIC 8462852 from the Kepler full frame images, finding that the brightness of KIC 8462852 monotonically decreased over the four years it was observed by Kepler. Over the first ∼ 1000 days, KIC 8462852 faded approximately linearly at a rate of 0.341 ± 0.041% yr−1 , for a total decline of 0.9%. KIC 8462852 then dimmed much more rapidly in the next ∼ 200 days, with its flux dropping by more than 2%. For the final ∼ 200 days of Kepler photometry the magnitude remained approximately constant, although the data are also consistent with the decline rate measured for the first 2.7 yr. Of a sample of 193 nearby comparison stars and 355 stars with similar stellar parameters, 0.6% change brightness at a rate as fast as 0.341% yr−1 , and none exhibit either the rapid decline by over 2% or the cumulative fading by 3% of KIC 8462852. We examine whether the rapid decline could be caused by a cloud of transiting circumstellar material, finding while such a cloud could evade detection in sub-mm observations, the transit ingress and duration cannot be explained by a simple cloud model. Moreover, this model cannot account for the observed longer-term dimming. No known or proposed stellar phenomena can fully explain all aspects of the observed light curve. KIC8462852 is suffering a century-long secular fading, and this is contrary to the the various speculation that the obscuring dust was created by some singular catastrophic event. If any such singular event happened after around 1920, then the prior light curve should appear perfectly flat, whereas there is significant variability before 1920. The 5-year binned DASCH light curve of KIC8462852 (large blue diamonds). The star shows highly significant fading from 1890 to 1989. The light curves for the two check stars with colors close to that of KIC8462852 are displayed in the figure with grey squares (TYC 3162-1001-1) and triangles (TYC 3162-879-1). The dashed line is a simple linear trend connecting the two end points, while the solid line is the chi-square fit result. The secular trend for KIC8462852 can be viewed either as a steady fading of 0.203±0.032 mag/century with substantial dips from 1900-1909, or as an unsteady decline averaging 0.165±0.013 mag/century. The star KIC 8462852 is a completely-ordinary F3 main sequence star, except that the light curve from the Kepler spacecraft shows episodes of unique and inexplicable day-long dips with up to 20% dimming. Here, I provide a light curve of 1232 Johnson B-band magnitudes from 1890 to 1989 taken from archival photographic plates at Harvard. KIC 8462852 displays a highly significant and highly confident secular dimming at an average rate of 0.165+-0.013 magnitudes per century. From the early 1890s to the late 1980s, KIC 8462852 has faded by 0.193+-0.030 mag. This century-long dimming is completely unprecedented for any F-type main sequence star. So the Harvard light curve provides the first confirmation (past the several dips seen in the Kepler light curve alone) that KIC 8462852 has anything unusual going on. The century-long dimming and the day-long dips are both just extreme ends of a spectrum of timescales for unique dimming events, so by Ockham’s Razor, all this is produced by one physical mechanism. This one mechanism does not appear as any isolated catastrophic event in the last century, but rather must be some ongoing process with continuous effects. Within the context of dust-occultation models, the century-long dimming trend requires 10^4 to 10^7 times as much dust as for the one deepest Kepler dip. Within the context of the comet-family idea, the century-long dimming trend requires an estimated 648,000 giant comets (each with 200 km diameter) all orchestrated to pass in front of the star within the last century. 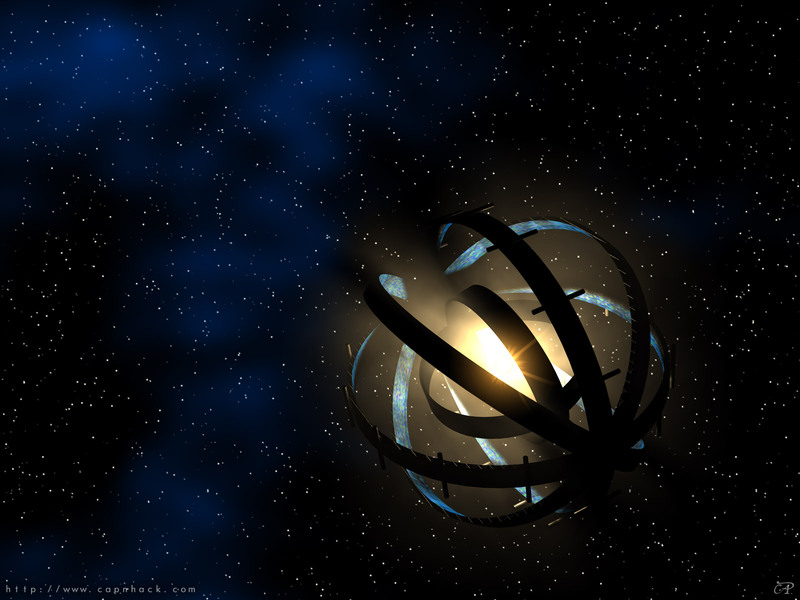 Charles Engelke (physics PhD from MIT 1986) and a researcher in Boston College’s Institute for Scientific Research submitted a theory that the unusual dimming of the star KIC8462852 is a megamirror system. 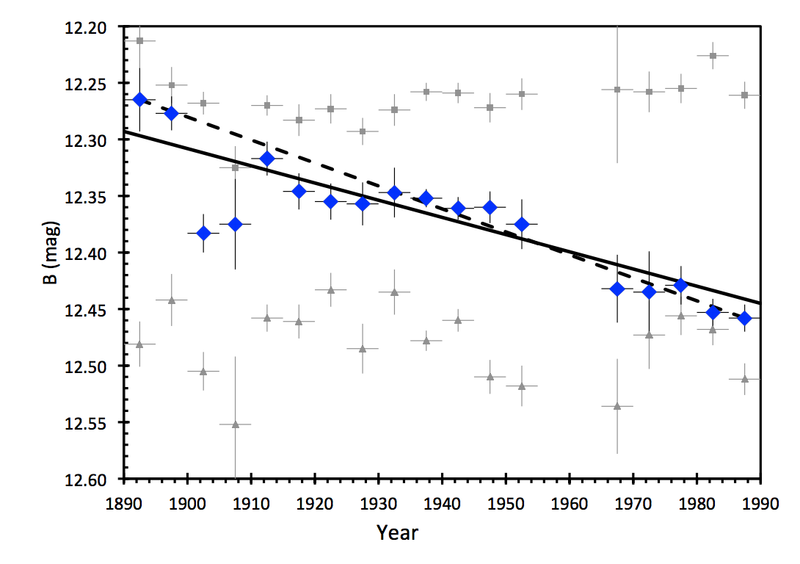 Since he saw the Nextbigufuture posting on Bradley Schaefer’s reconstruction of the star’s 1890-1990 light curve, he has been mulling over an hypothesis on the potential nature ofc megastructures satisfying all the observations. (quick fact: at MIT Bradley’s favored expletive was “Dagnabit!” and he started the famous MIT mystery hunt tradition, a very memorable character). The hypothetical explanation I have in mind seems to hang together pretty well after several days of contemplation. It involves huge light weight mirrors and interstellar travel. I [Charles] have always greatly enjoyed the imaginative ideas and future possibilities you collect on NextBigFuture and thought it might be an appropriate forum for consideration of the ideas I have been examining. All would agree that the absence of any infrared excess comparable to the visible flux intercepted by the occulting objects would be no mystery if the interceding objects were perfect mirrors and the stellar flux was merely being redirected out into space. But why would aliens go to such lengths just to do that? I suggest that it is the natural prerequisite for practicing large scale interstellar travel in the manner God and nature apparently intended. Just imagine that, despite their size, these mirrors can be shaped to optical quality. What is the diffraction limit on what a telescope with a primary mirror more than half the diameter of our sun (I estimate D~ 8e8m to cause of 22% dip) can resolve in visible light (~5e-7m)? Somewhere on the order of 1e-16 radians. Since a parsec is 3e16 meters that means they could resolve objects on the order of 10’s of kilometers on Earth when viewed from 454 pc. So, great for astronomy. Now assume that a similar size mirror is placed close to the star’s surface and shaped to redirect the spreading rays it intercepts into parallel rays bounced past the limb of the star. The beam would have an intensity comparable to the surface of a 6750 K blackbody, a diameter about equal to that of our Moon’s orbit, and would spread out due to diffraction by only 50 km more after traveling 1500 light years, so still a beam with the intensity of a star’s surface. Yes, that makes us pretty vulnerable if they should choose to aim the beam mirror rather than the telescope version at Earth, but that discussion is for another article (“How I Learned to Stop Worrying and Love the Mega Mirror” in which I describe my initial ‘discomfort’ before discovering that a form of deterrence should hold, given the 3000 year delay in their knowledge of technological state, and the reasonableness of any planet copying their technology to equip the guidance AI with instructions to fire back at the attacking system continually for the rest of of its’ functional life if an external beam should wipe out the home planet. I do not think mirrors responsible for the ‘Fermi paradox’). How massive would a similar size ‘solar sail’ mirror be? Well, unlike Dyson spheres, mirrors, and especially sails can be quite thin, so figuring on some tens of grams per square meter one gets ~2e16 kg, something like the mass of an asteroid with diameter of order 20 km would suffice as building material. The light pressure in the ‘beam’ from the initial mirror would supply twice that pressure to this lightsail upon being reflected, sufficient to provide the sail a constant acceleration of several times g=10m/s^2. By hanging a starship of similar mass on the sail, the acceleration can be made equal to that of the passenger’s home planet, and all the inhabitants of the planet could indeed probably be accommodated in a ship of such mass simultaneously. At 1 g constant acceleration they could journey ‘anywhere’ experiencing only a couple of decades of onboard time due to time dilation (or less than one decade at 2 g’s). However, unless the home star is about to go up in flames and an ark is needed for evacuation, this ‘beam-filling’ sail is overkill. We can assume the big beam is big just so it won’t spread and thinout due to diffraction. Smaller starships and with sails proportioned in scale with their small mass can travel within the bigger beam with the same level of acceleration. Energy not hitting the sail is not ‘wasted’ since stars always pour out energy, the megastructure aliens have just redirected it, their only expense is in building the original structures and maintaining focus and aim. The ships themselves are simple affairs. No need for huge stores of fuel, for Bussard ramjet complications, for antimatter, for generation ships. You just jump in a beam and the rest is free. (But you must trust the operators to remember you if you go off on a 1000 lyr expedition or something). It would have been the obvious way to go from the first, at least in principle, if we could just think ‘big enough’. The light curves portraying the dips(reported by Boyajian et al Oct 2015) look more complicated than simple disk shaped mirrors, but the disk model is just for proof of principle and convenience. However, continuing to use the simple disk dimension calculated above, the several day length (maybe 2 or 3?) of the total eclipse down to 15% in Fig 1c and down 22% in Fig 1e indicates a low speed that is either non orbital (or further out than what corresponds to Pluto). The triple dip structure in Fig1e looks roughly periodic with ~25 day recurrence. It could conceivably be the same assemblage of structures coming around three times at slightly differing latitudes (maybe for astronomical scanning purposes, or as a counter rotator to a more massive sphere. That is of course the wildest of guessing, but inspired from the fact that using the assumption the speed deduced from the duration of totality corresponds pretty well to one and a half rotations at 3 or so stellar radii. million km), and the rings have an estimated total mass on the order of 100 M Moon. The ring system has one clearly defined gap at 0.4 AU (61 million km), which we hypothesize is being cleared out by a exosatellite orbiting around J1407b. This eclipse and model implies that we are seeing a circumplanetary disk undergoing a dynamic transition to an exosatellite-sculpted ring structure and is one of the first seen outside our Solar system. KIC 8462852 Why Mega Mirrors? Constant acceleration of ‘g’ or greater for relativistic Interstellar travel. Certainly the absence of any infrared excess comparable to the visible flux intercepted would be no mystery if the interceding objects were perfect mirrors and the stellar flux was merely being redirected out into space. But why go to such lengths just to do that? I suggest that it is the natural prerequisite for practicing large scale interstellar travel in the manner God and nature apparently intended. Just imagine that, despite their size, these mirrors can be shaped to optical quality. What is the diffraction limit on what a telescope with a primary mirror more than half the diameter of our sun can resolve in visible light? Somewhere on the order of 1e-16 radians (I estimate D~ 8e8m to cause the 22% dip and use 5e-7m for wavelength of light ). Since a parsec is 3e16 meters that means they could resolve objects on the order of 10’s of kilometers on Earth when viewed from 454 pc (pc=parsec=3.26 lightyears). So, mega mirrors would be great for astronomy. Now assume that a similar size mirror is placed close to the star’s surface and shaped to redirect the spreading rays it intercepts into parallel rays bounced past the limb of the star. The beam would have an intensity comparable to the surface of a 6750 K blackbody, a diameter about equal to that of our Moon’s orbit, and would spread out due to diffraction by only and additional 50 km after traveling 1500 light years, so still a beam with the intensity of a star’s surface. The light pressure in the ‘beam’ from the initial mirror would supply twice that pressure to this lightsail upon being reflected, sufficient to provide the sail a constant acceleration of several times g=10m/s^2. By hanging a starship of similar mass on the sail, the acceleration can be made equal to that of the passengers home planet, and all the inhabitants of the planet could indeed probably be accommodated in a ship of such mass simultaneously. At 1 g constant acceleration they could journey ‘anywhere’ experiencing only a couple of decades of onboard time due to time dilation (or less than one decade at 2 g’s). However, unless the home star is about to go up in flames and an ark is needed for evacuation, this ‘beam-filling’ sail is overkill. We can assume the big beam is big just so it won’t spread out and weaken due to diffraction (even for intergalactic distances). Much smaller starships with sails proportioned in scale with their small mass can travel within the bigger beam with the same level of acceleration. Energy not intercepted by the sail is not ‘wasted’ since stars always pour out energy, the megastructure aliens have just redirected it, their only expense is in building the original structures and maintaining focus and aim. The ships themselves are simple affairs. No need for huge stores of fuel, for Bussard ramjet complications, for antimatter, for generation ships. You just jump in a beam and the rest is free. (But you must trust the operators to remember you if you go off on a 1000 lyr expedition or something). It would have been the obvious way to go from the first, at least in principle, if we could just think ‘big enough’.